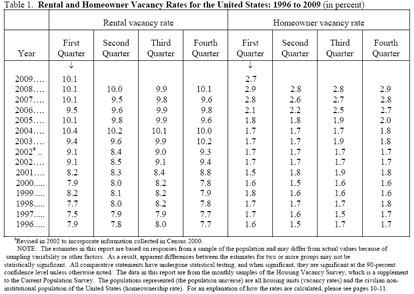 The Census Bureau released a report today showing the national vacancy rates in the first quarter 2009 stood at 10.1% for rental housing and 2.7% for homeowner housing. 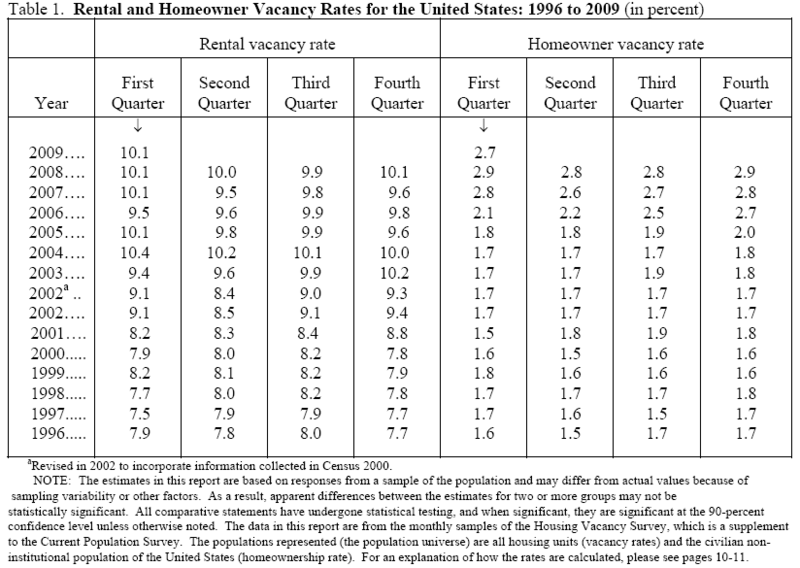 The overall vacancy rate refers to the number of units that will be available by a particular point in time. The Census Bureau also said the rental vacancy rate was not statistically different on a Y/Y basis or the rate last quarter (10.1% each). For homeowner vacancies, the current rate was lower than the Q1’08 rate, but not statistically different from the rate last quarter (2.9% each). 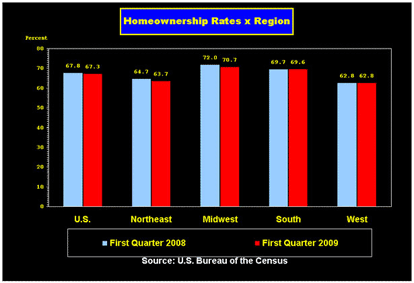 The homeownership rate at 67.3% for the current quarter was lower than the first quarter 2008 rate (67.8%), the report said.